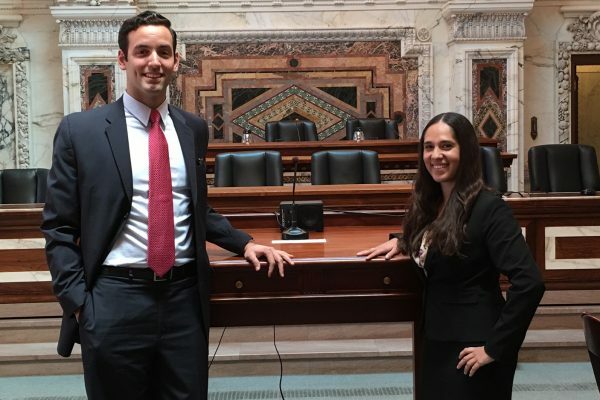 The Ninth Circuit Court of Appeals in California has once again ruled in favor of a client represented by BC Law students as part of the cutting edge Ninth Circuit Appellate Clinical Program at the Law School. Roberto Lopez Valencia, a 42-year-old Mexican national, will be allowed to return to the United States and apply to restore his lawful residence. He was represented by Jeremy Sanders ’15 and Kelly Schwartz ’15. 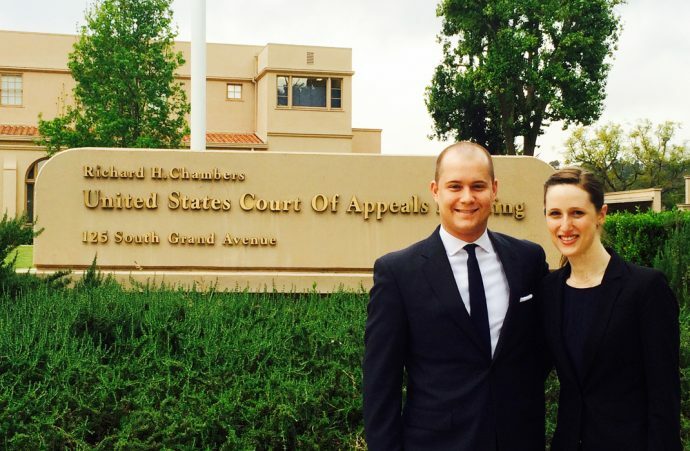 In the other case argued through the clinic last year, a client represented by Shannon Johnson ’15 and Alejandra Salinas ’15 was also granted relief and allowed to stay in the country (see earlier story). When Valencia was four years old, his parents brought him to the United States, where he attended elementary, middle, and high school and became a lawful permanent resident at age 17. Valencia has extensive family ties to this country–his three sisters are citizens and two brothers are also lawful permanent residents, and he has 5 children–all U.S. citizens—who are between the ages of 18 and 24 years old. Valencia had been working full time in various jobs and had never received public assistance. He was working up until the day he was detained by the Department of Homeland Security in 2010. In 2014, the Government deported him while his case was pending. Valencia had two criminal convictions–one for possessing a controlled substance and another for a petty theft offense for taking a can of beer, a misdemeanor for which the California court originally gave him probation. While on probation, Mr. Valencia was arrested again for a drug crime. Although the charges were dropped, the arrest violated Valencia’s probation, which resulted in the state court imposing a sentence of two years. The government in turn argued that Valencia’s petty theft of a $2 can of beer was an aggravated felony—a term for the worst of the worst crimes—and that it should be the basis to force him to leave this country without any chance of return. The published decision is an important one because it recognizes that in California, the jury does not need to be unanimous in deciding which of the possible theft crimes the person in fact committed. No other case has recognized how California juries operate. Such a decision has important implications because, under immigration law, only someone who committed larceny can be removed for an aggravated felony. This decision will now protect the hundreds, if not thousands, of immigrants who committed minor crimes. The clinic received support from many other experts in the field. 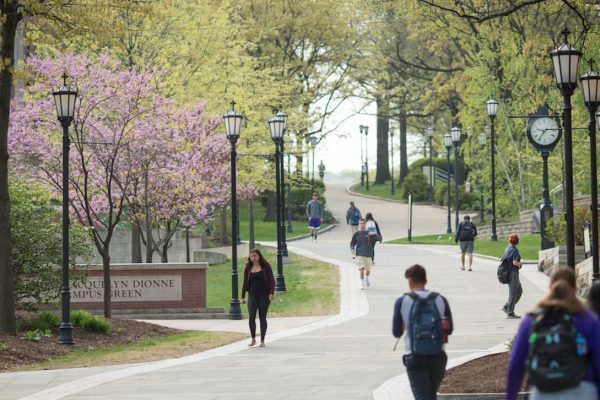 Professor Mary Holper, Professor Dan Kanstroom, research librarian Karen Breda, and BC Law Post-Deportation Project fellow Jessica Chicco were formal and informal mentors to the students who sought them out for advice and guidance. 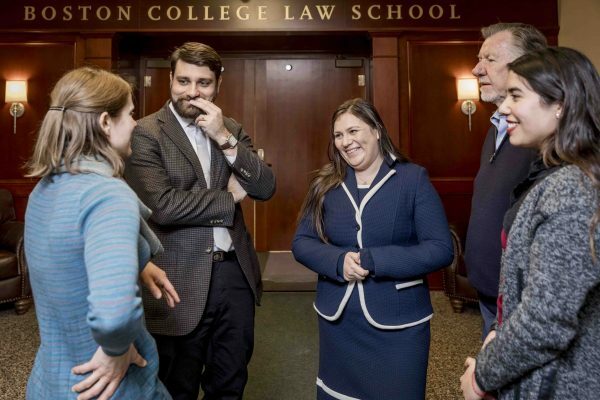 The students also benefitted from a number of Boston-based immigration practitioners, including Susan Church, Carlos Estrada, Dan Kasslebrenner, Wendy Wayne, and Emma Winger. The Ninth Circuit Appellate Program is possible due to the Ninth Circuit’s highly unique program that permits law students to represent indigent immigrants who would otherwise be without representation. The Court screens and identifies compelling issues that would benefit from pro bono representation. BC is one of three law schools outside of the Ninth Circuit that participate in this program (see earlier story).